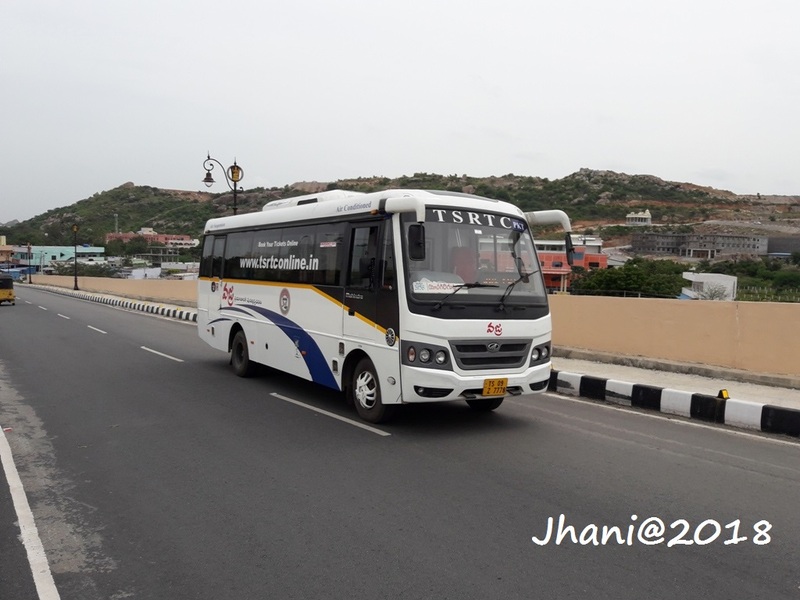 It’s a wonderful news that TSRTC started Nonstop AC Vajra Busses from Hyderabad to Yadagirigutta Uphills Directly with online booking facility also. 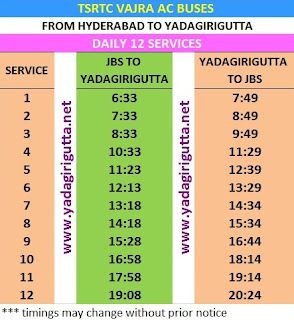 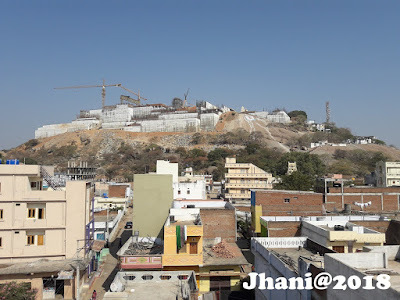 This also one of my dream to travel nonstop in between yadagirigutta and Hyderabad, has come true after the formation of the Telangana State. 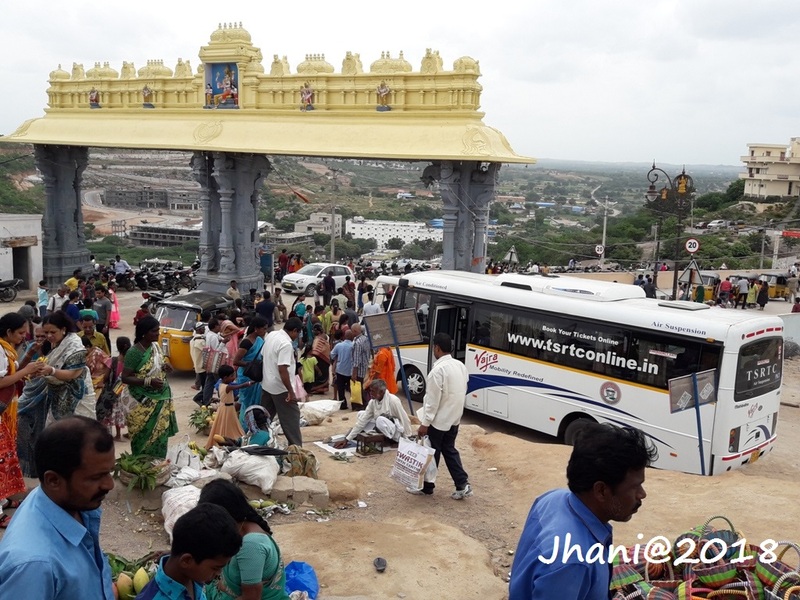 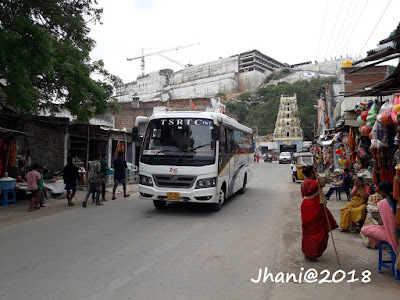 Now a days lots of local people utilizing this services and like to travel in this, cose these buses are running through bypass high way roads only without entering in to route towns like Bhongir and Ghatkesar. 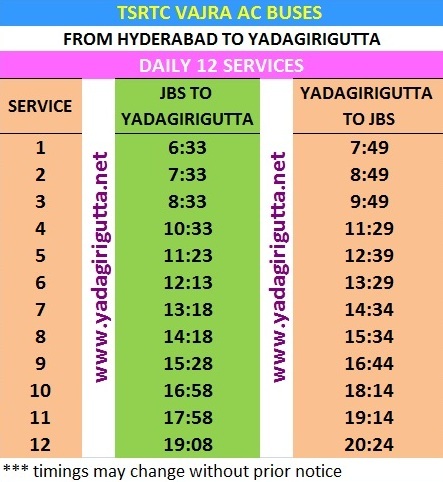 But due to the traffic jams in Hyderabd city, Buses are not running on exact timings, but it is very convenient journey between the Yadagirigutta-Uppal without any traffic jams. 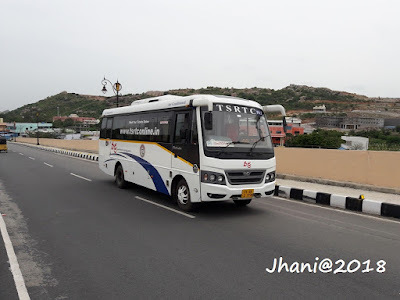 Note : the fares and the timings of the buses may be changed by the TSRTC Dept without any notice, please reconfirm with the RTC officials for more clarifications.